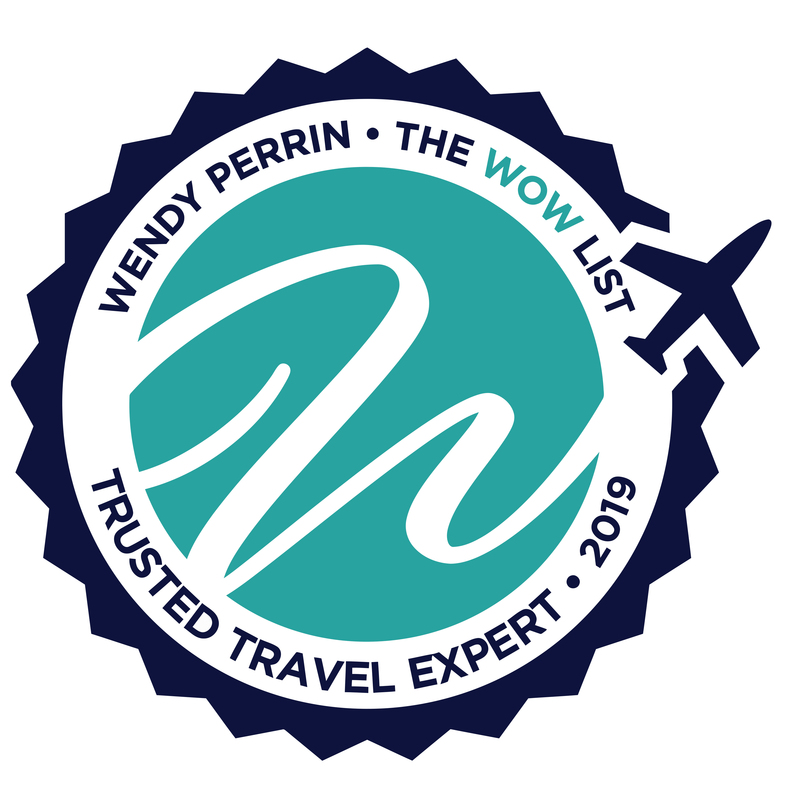 Jean-Michel Jefferson is on Wendy’s WOW List of Trusted Travel Experts for his expertise and connections in New Zealand. 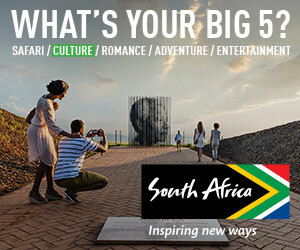 The reviews below are from real travelers who’ve taken trips that were arranged by Jean-Michel and monitored by Wendy. Don’t miss Jean-Michel’s Insider’s Guides to Queenstown and New Zealand. I should say I didn’t actually have any contact with Jean Michel beyond the first phone call. But his team member Gillian Buckley did a great job planning our itinerary which resulted in an extremely memorable trip – New Zealand is an amazing country and our trip included highlights like a helicopter trip to a volcanic island and a private wildlife tour where we saw yellow eye penguins and tripped over sea lions. The hotels were all excellent yet I never had the feeling which I occasionally have had with other wow list agents that the itinerary was designed around luxury hotels rather than our interests. As always the more involved in planning you are and the more research you do on your own, the better the trip will be. A great and memorable family vacation. Jean-Michel’s team knew excellent local guides. The trip was crafted around our family’s unique desires. My two-week family trip to New Zealand was excellent. Deirdre on Jean-Michel’s team planned a “best of” type itinerary since this was our first trip to NZ and we wanted to see as much as possible. But she also made sure to include unique cultural experiences that only Jean-Michel has access to like a day spent with Tom Laughlin, a Maori elder, on his tribal land where we prepared a “hangi,” the traditional Maori feast. She was also able to accommodate a last minute excursion to Milford Sound, which was one of the highlights of the trip. Everything ran smoothly from start to finish, there was not one single loose end — or if there was, I never saw it. And we had good communication via e-mail and phone as necessary throughout the trip. It was a very pleasant working experience that made for an unforgettable trip. Our experience with Kim Driscoll on Jean-Michel’s team was excellent. Given the unusual amount of confusion and change involved in the months preceding our travel, Kim gets extra points for her patience. As a side note, this was my 24th trip to New Zealand so our travel requests or ask was probably not the ordinary. Bottom line is that Kim and all of Jean-Michel’s team did an excellent job! On top of every detail, very thorough up-front, and contacted us at the right pace. Customized things and stayed in our budget. Felt the suggestions and providers they used were top notch, along with the accommodations. He reached out just the right amount of times during the trip, which was nice. This year we were at our busiest/tired-est, and our scope was a mere two-week period. We first contacted Jean-Michel through Wendy’s website on 12 October 2018, and my husband and I left Amsterdam for the South Island of New Zealand on 27 October. Guided by Wendy’s sample-questions, we wrote a 3-page list of musts, wishes, and must-nots, based on which Jean-Michel’s colleague Marina almost immediately came back to us with a plan that, had we researched, would have been almost our ideal holiday. She knows the country, knows the people and knows, with just a few extra questions, to translate wishes into the perfect mix of activity and relax-time. Most importantly, she’s a lovely person to communicate with. We had 12 nights to spend and wanted to stay at 2, max 3 locations. We stayed for 5 nights at Fiordland Lodge, 2 at Matakauri Lodge near Queenstown and 5 at the Split Apple Retreat. Our main wishes were that we wanted to be immersed in nature, around as little people as possible and with as limited transfer time as the distances in New Zealand permit. This was translated, among other things, into day-trips by helicopter, hiking, biking, sailing, and fishing. We walked the remotest beaches, delivered groceries at a hermit and met with whitebaiters. We flew up to the most romantic mountain lake and one of the hikes started by being dropped at a clearing after which we walked for a day just following deer tracks. The people engaged by Marina were all masters of their profession and excellent company as well. Our contact during the holiday was Leigh-Ann, who had a very fast response time when we wanted to change the schedule to make sure the weather would not be a problem. Initially, we thought New Zealand was a one-time destination but we had such an incredible experience we would like to go again, and that time I would give Marina more time to plan. My advice for anyone considering hiring Jean-Michel’s team? Be very specific about what’s a must and what’s a wish. You can trust them to translate your ideas into a good plan but do feel free to ask, they are very knowledgeable and are capable to fine tune to your specific needs! We did not have contact with Jean-Michel himself, but never felt that as a negative; his staff is excellent and we had a lovely vacation. Kim Driscoll on Jean-Michel’s team was our travel specialist for a three week trip to New Zealand, South Island. She was exceptional. She quickly understood what we desired to get in our vacation in the beginnings of our communications. Proceeded to be attentive and prompt in planning out an itinerary that suited our desire to absorb ourselves into the beauty of the south island. Which included having personal guided day trips, as well as, also giving us the slower pace we requested for days to simply be and rejuvenate, in the simply stunning bed & breakfast venues she reserved for us. She communicated with each guide and host prior to our arrival or activity. We were always met on time and delighted with their knowledge and conversations. On our last night before heading home there was a huge rain and wind storm that caused potential changes for our morning departure. We were in a remote retreat in the upper west coast with plans to heli out the next morning to meet our connecting flight. Kim was on it, communicating with the pilots, us, and our retreat hosts, as to potential travel scenarios and timelines to be able to meet our connecting international flight home. What a huge relief to be in such capable and caring hands! I could never have duplicated such amazing experiences without her help. And I know she picked out the very best guides on our excursions. It was the best trip ever to one of the most picturesque places we have ever visited. Zuzana on Jean-Michel’s team was the best agent I have ever worked with. Her input on the front end was invaluable and critical to making our trip a success. She listened to us and our requests and then tailored our trip based on our input. I really appreciated that she checked up on us during our time in New Zealand. On rain days she called early in the morning to give us options on what to do. It also helped that she had first-hand knowledge of the places she recommended we stay at. We cannot say enough how happy we were with Jean-Michel and his team and the excellent job they did in planning our recent trip to New Zealand. The attention to detail was superb and in the almost three weeks we were in the country there was never one “hiccup” or miscommunication with either us or their service providers. We would highly recommend Jean-Michel and his team and will use them if we ever return to New Zealand! Thank you for a job well done. We turned to Jean-Michel Jefferson to plan our February 2016 trip to New Zealand. We wanted to focus on scenery, nature, hiking, culture, and, of course, food and wine, and were guided by his recommendations on areas to visit, accommodations, activities and experiences. Jean-Michel’s knowledge of New Zealand really showed in every aspect of the trip, as the places we went each provided wonderful experiences tailored directly to our interests, as well as our fitness levels. (Since New Zealand is known for some very difficult terrain and extreme sports, making sure we could handle the treks was very important.) It was also clear that he had nurtured personal relationships with the owners of the lodges and the guides he hand-picked for us – all of whom shared their own experiences and thoughts about New Zealand and treated us so graciously. It was a fabulous trip. Located near the bottom of the Southern hemisphere, with Australia as its nearest neighbor to the west and South America – over 7600 miles away – its closest to the east, New Zealand really feels a world away. Indeed, as compared to New York (where we live), everything seemed backwards or upside down: today is yesterday, morning is night, winter is summer, south means colder, the driver’s side is the passenger’s side, the North Star gives way to the Southern Cross and even the English spoken is sometimes unrecognizable. But most striking, New Zealand has managed to preserve a way of life that seems largely lost in the rest of the modern world. The pace of life is slower, population (outside of Auckland) is sparse (with sheep outnumbering people), the environment is keenly appreciated and preserved, water in the lakes and rivers is crystal clear and pure, food is locally grown, doors are left unlocked, crime is hardly a concern and the risk of terrorism is so low that you can actually board a plane without going through security. At times, particularly down in the South, you may have no choice but to disconnect and focus totally on the moment – as cell and internet connections may be spotty or non-existent. As I said, it is a very special place. New Zealand is a spectacularly beautiful country. In the north, we drove for miles through rolling emerald green pastures, which then suddenly transformed into deep brown canyons carved by a gently flowing river meandering through its depths. Not too far away, the landscape morphed into a geothermal environment in which we walked through expanses of boiling springs, mud pots and orange silica plateaus, then witnessed steam flowing from the earth in massive enough quantities to power electricity. From our balcony, we watched as the sun glistened through a mist of low hanging clouds hovering just above beautiful Lake Taupo before it rose out to start the day. The South Island was even more breathtaking. Near Abel Tasman National Park, we cruised through the shimmering turquoise Tasman Sea, bordered by the deep green forests of the surrounding islands and coastline. We hiked up Mount Arthur, passing groves of trees that looked as if they were drawn by Dr. Seuss, to emerge up onto a ridge where we were treated to expansive views of all the neighboring peaks. An amazing place for our picnic lunch. As we traveled farther south, we stopped to take in the magnificent lakes which reflected vivid shades of blues, before arriving at the Southern Alps. There, we helicoptered through the peaks and glaciers, landed in an alpine valley and hiked through lush forest to find a beautiful vista and gently flowing river on the other side. In Otago, we drove through a river valley bounded by starkly beautiful brown hills, once loaded with gold, but now mostly uninhabited. Down toward Akaroa, the road wound around cliffs that dropped dramatically to our isolated coastal hideaway which was ringed by miles of rugged pastureland. And, finally, there was Fiordland, where it had been raining for days, resulting in the most stunning display of waterfalls from every crevice in and around Milford Sound. It is hard to say which was the most beautiful. Every day was filled with a different experience: sightseeing, hiking, heli-touring, wine tasting, staying on a sheep ranch, and more. All were great, but one of the most fascinating was the day we spent with some very special members of the Maori tribe who introduced us to their culture. We drove out of Taupo to the Maori tribal lands, and as we reached the entrance, we were stopped by two warriors who vetted us in the same way Maoris assessed unknown visitors for centuries – a ceremony known as Powhiri. These warriors confronted my husband to determine whether his intentions were peaceful through a series of dances, chants and intimidating challenges (which thanks to the tutelage of our amazing guide, host and chef Tom Loughlin of Kai Waho) he was able to meet. As the beautiful singing of the Maori tribeswoman who witnessed the event signaled her decision that we could be trusted — a decision that can only be made by women — we were permitted to approach the homestead. The welcoming ceremony then continued as the warriors and my husband each identified themselves and their ancestors, told a story, sang a song and ended with the traditional Maori forehead to forehead and nose to nose greeting. For the next several hours, we ate a delicious “hangi” (a traditional Maori feast) for which the foods – which were similar to our traditional Thanksgiving foods– are cooked together in a large pot for hours underground. The meal took place outside on a veranda overlooking the magnificent wilderness vista, where we spoke with our Maori hosts for hours, learning about their traditions, customs, spirituality, and their roles and relationships with the non-Maori community. One of them, Delani Brown, was also a reknown master woodcarver, who explained the significance of wood carving to the Maori community. When the visited ended, the Maoris marked our departure with a beautiful serenade. An extraordinary day. Another unique experience was the opportunity to get up close and personal with the lively dusky dolphins and fur seals that live in Kaikoura. It was amazing to watch hundreds of small dusky dolphins leaping and jumping as they raced through the sea. It was even more fun to jump in and join them in the water as they whisked all around me. The dolphins share their water with the fur seals, and they, too, welcomed me in for a swim. One came right up to me, stared straight into my eyes, held them there for a moment seemingly acknowledging a connection, and then swam away. And then there were the whales, who treated us to quite a show as they surfaced, then dove away with a wave of their majestic flukes. Dunedin, too, offered unique opportunities to observe rare wildlife: the mighty albatross that soar from the breeding colony there to circumvent the world, but then somehow manage to find their way back to nest; the blue penguins that sit sheltered in tiny hollows wthout moving for weeks as they shed their coats and when they are done return to their habitat which, when they are not in the water, they share with sheep; and the family of seals that lived and played right next to our lodge. The lodges Jean-Michel recommended were a special experience all on their own. Most were small, generally having three to five rooms. All were in magnificent settings. The lodges, for the most part, were run by their owners who could not have been more welcoming and accommodating. And every one featured a fantastic chef (often one of the owners). Though all of the places we stayed were great, one, Split Apple Retreat, was in a class all its own. Perched on a cliff overlooking the Tasman Sea, this wellness retreat, built in a Japanese style to showcase a lifelong collection of East Asian art, was just exquisite. Remarkably, from the moment we entered, a sense of peace immediately enveloped us. The retreat is owned by Lee Nelson, a former American physician (and world class poker player), and his wife Pen, a fabulous Thai chef. Sitting out on the veranda, watching the sunset over the stunning view, enjoying wines selected by Lee paired with the imaginative, delicious – and healthy – dinners artistically presented by Pen, was truly a delight. I was ready to move-in. So much of what we saw and did, and how seamlessly we were able to do it, was attributable to the experienced, knowledgeable and personable guides Jean-Michel arranged for us. Coming from different walks of life and various localities, each shared their own stories of life in New Zealand and their own connections to the places they showed us. Each also made sure that along the way we got to taste the New Zealand delicacies unique to the region. It was very hard to leave. Jean-Michel and Monique at Ahipara did a fabulous job putting together our trip to New Zealand. It was our family’s first ever trip to the country and it was an amazing experience. They made choices for destinations, activities, and travel that fit extremely well with our personal preferences. If and when we go back we plan to give them a call. We are fully back to reality and our daily lives, but our trip to New Zealand was truly an incredible and memorable experience. We couldn’t have asked for more… except another week or two or three! I’m a big proponent of honest feedback in order to help improve businesses and services. It is rare that I don’t have something to provide in the way of constructive criticism. In this case, I honestly can’t think of anything that I could complain about or even suggest for improvement. All aspects of our experience with Ahipara were top-notch and all the providers of lodging, guides, and activities that Ahipara partners with were outstanding. I usually can point to pricing or cost as some sort of issue, but I truly felt all prices and costs were reasonable and now after our vacation I feel we truly got our money’s worth and more! When we were first considering a vacation to New Zealand and being practically on the other side of the globe, I knew we’d need local help. However, we’ve never been the type of people that go with average and never go with generic or crowded “tourist” tours. Finding Ahipara was a stroke of luck and research and gut feeling. The entire cycle of vacation and trip planning to execution and logistics to providing unique experiences with professional and personal touches was fantastic and high caliber. I know Ahipara is a team effort and I want to thank Jean-Michel for the initial vacation ideas and overall owning and operating a great firm. Much more though I want to thank Zuzana for all her help and hand-holding, outstanding planning and service, and great personal touches, sense of humor, and attention to detail. All the activities we jointly planned were awesome, and we loved (yes.. Loved!) The Dairy and Paul and Matt, and Silverpine (Mike and Sue were great, but Roy the dog stole the show!). We didn’t miss a beat in the planning of the trip and a close to last minute adjustments of the itinerary turned out even better than original plans (the Middle Earth helo-hike with Mark and Alpine helo was unbelievable!). Once we landed and began our vacation, it was really nice to be checked in on and when weather impacted you were well ahead of things and coordinated adjustments without missing a beat. Ahipara’s “partnership” and skills and welcoming personality really made our vacation unforgettable and the experiences and memories we now have are priceless. We hope to someday return to New Zealand and hope to stay for a bit longer! I have no qualms in recommending Ahipara highly and enthusiastically.